When life gets hard all we want to do is get out. 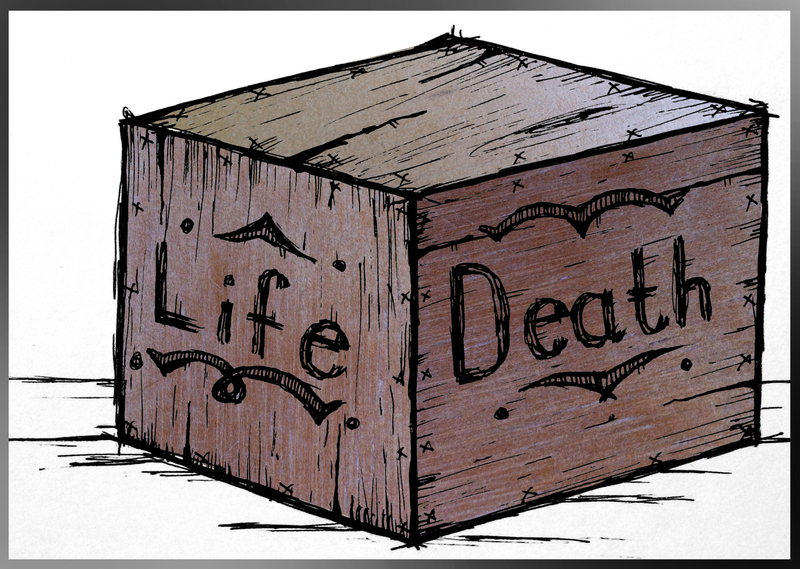 We define life as a box that confines and imprisons us when things don’t go according to our plan. We see everything from the perspective of the victim and never from the perspective of the villan. We live in a culture that has provided us with the perception that life should be all sunshine and rainbows IF we work hard, do good, help out, be polite, serve others, follow the rules… However, there are no guarantees to a happy life even if we do everything right. It’s life, it’s hard, it’s out of our control. I recently heard sermon from Justin Anderson at my church Living Stones. He quoted someone else and saying, “the only thing we can control is our response.” The truth in that statement is incredibly concrete. We like to think that we are somehow magically empowered to control every challenge that confronts us in life. However, all we really control is the draw of our heart, which often times feels out of our control as well. Perhaps when we are faced with the loss or distancing of a loved one we can begin to understand this concept most clearly. In the situation of loss there is nothing that we hold in our hands that can stop the looming pain, there is no tool that can “fix it.” However, we still insist upon trying to fix what is wrong with us whether we did it to ourselves or whether someone did it to us. In my life there have been many ways I have tried to handle pain and “fix” my problems. None of my methods have provided me with a conclusive fix. So with that said, I want to stand on the fact that both you and I are people. Because we are both people I’m going to assume that you have probably experienced, firsthand, much of what I have. And now that we can identify with one another I want to point out the responses that both you and I have when we encounter the beast that is hardship and pain. HIDE. Life got hard and we went dark. We continued to exist within our pains but we closed the curtains on all reality. When we hide we think that we will find comfort in not having to deal with the realness of our situation. We think that not having to see our problem will eventually make it not exist. But the reality is that our problems will always be there and our camouflage will never protect us. GET ANGRY. Life got hard and we got violent. Sometimes we cope with pain through anger because we want justice how we see it. So we sprint down the path of anger towards the ultimate goal of “getting even.” But in all of our efforts to bring justice to our cause we end up punishing ourselves. This plays itself out when we find out that we can’t make someone or something hurt as much as we hurt. So when the hurt is not “even” we end up disappointed and even more angry with ourselves than we were before. Therefore, our anger will always lead to more pain. GRIND IT OUT. Life got hard and we hung onto our hopes until they crumbled. We held onto a dream as it continued to fail and waste us, we held onto a person until they hated us, we held onto a possession until it disintegrated on top of us. When we try to “grind it out” it’s like we are standing in quicksand but think that we are standing on concrete. What I mean is that we will never find answers or hope in things that we know have already failed us. RUN AWAY. Life got hard and we got out. We left moments behind. We left someone behind. We left a story behind. We left behind reality. When we run away we let our hearts believe that no one will be able to help us except for us. We turn to the alternative of isolation because we are embarrassed, because we are afraid, because we don’t see light anywhere. And let’s keep in mind that running away is different than hiding. When we hide we are present but mentally and emotionally absent. When we run away we become totally absent because the fear of confrontation has consumed our mind. This definitely has not been an all-encompassing list of how we respond to pain but I believe that it scratches the surface. And this is a surface that needs to be scratched. We avoid these topics because they are hard, embarrassing, draining. But, we need to talk about these types of things in order to tear-down the lies that live in them. Let me know how you have responded poorly to your pain OR tell me how we should respond to our pain. The sermon I heard from Justin Anderson on May 6, 2012 should be available here relatively soon. I loved that sermon! I also loved how he said that our depression (when we have it) is due to the gap between our expectations and reality. This is a really good post! Very deep. Thanks Kali! And the expectations and reality gap is definitely THE crucial part that I left out. Pain definitely has roots in reality falling short of our expectations.